The second fastest growing type of debt in Canada is a high-interest, subprime, unsecured, short-term loan called an instalment loan. Marketed to people with bad debts and poor credit, instalment loans carry interest rates as high as 59 per cent. But the true cost can be much higher. 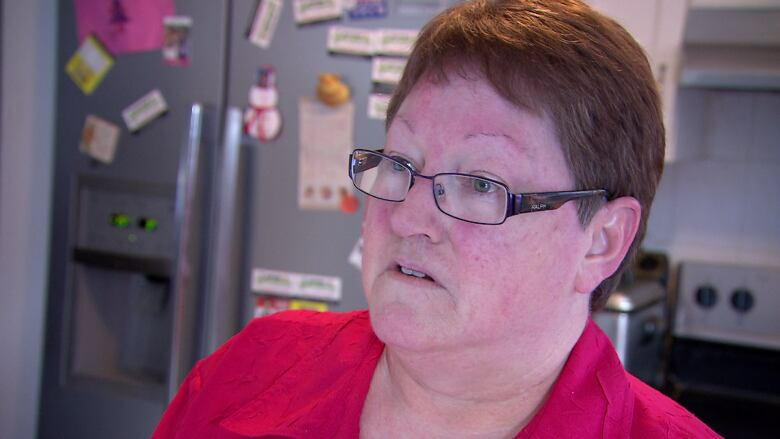 At a time when she should be approaching her golden years, 57-year-old grandmother Helen Parry is instead supporting two adult children on a wage that hasn't increased in eight years. "Cost of living rises but the pay doesn't and the utilities and everything goes up … so it gets harder each year," Parry says. Last year, with bills piling up, Parry, who lives in Brampton, Ont., asked her bank for a loan but was turned down because of bad credit. She turned to a company called easyfinancial Services Ltd.
"I was relieved because, you know, I didn't have any other option at the time." She got a loan of $3,100 to be paid back over 18 months. But in doing so, Parry dove into one the fastest growing — and potentially most expensive — types of debt in Canada. They're called Instalment loans. They are, in a nutshell, unsecured, high-interest, subprime, short-term loans. A hidden-camera investigation by CBC Marketplace is helping expose just how costly these loans can be. Unlike payday loans, which are usually for a few hundred dollars and repaid in a few weeks, instalment loans allow you to borrow up to $15,000 with repayment periods of up to three years. But like payday loans, instalment loans are aimed at the same general market: people with bad debts and poor credit. They often have lower incomes, are struggling to get by and are less sophisticated financially. In fact, some purveyors of instalment loans are literally setting up shop in many of the same depressed neighbourhoods once populated by payday lenders. 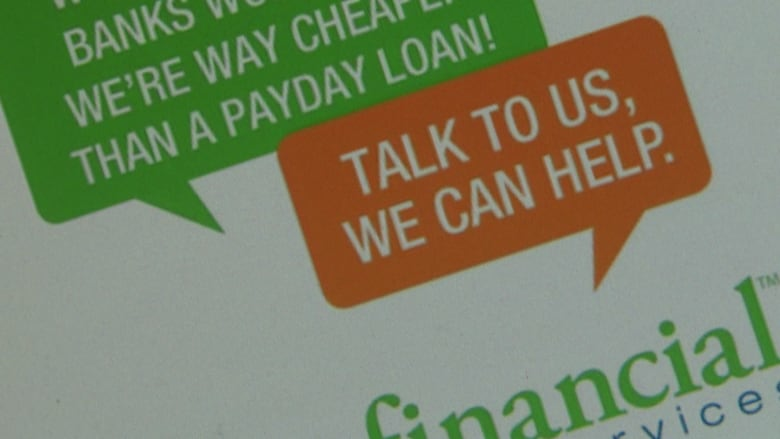 Easyfinancial Services Ltd. is taking over 47 retail locations across Canada from The Cash Store, an Edmonton-based payday lender that went out of business after it was barred from making new loans in Ontario because of rules limiting interest charges. While not as high as payday loans, instalment loans also carry rates of interest that can be considered extreme. Take Parry. A few months after she got her original loan, she got a call from easyfinancial offering her more money with a longer repayment period. Parry agreed and ended up with a $5,100 loan to be repaid over 36 months. Her semimonthly payment was $186.82, which includes an optional loan-protection Insurance payment of $55.97. Parry's loan agreement has the total cost of borrowing expressed as an annual percentage rate (APR) of 46.96 per cent. But Peter Gorham, an actuary who provides certification on criminal rates of interest, calculated Parry's effective annual interest rate to be 57.12 per cent. "The criminal interest rate is anything over 60 per cent," says Gorham. "They're very close." Easyfinancial told Parry the total obligation for the term of the loan would be $9,521.90. But under the Consumer Protection Act, easyfinancial only has to include the principal plus interest in the cost-of-borrowing disclosure. If you include the insurance payment, by the end of 36 months, Parry would have repaid a total of more than $13,400. Legally, insurance payments aren't included in interest calculations,but if you were to take those into account, Gorham says, the effective annual interest rate would be 120.3 per cent. A former easyfinancial employee, who did not want her identity revealed, told Marketplace easyfinancial's customers often don't comprehend the cost of borrowing. "I don't think anyone really understood. All they wanted was the money and they wanted it quick. And then you pay and you pay and you pay and you pay," says the former employee. She says sales reps, who receive a commission, would call customers offering more money. "You wouldn't finish paying off your first loan but you've made so many payments, now you qualify for more money. So you would add to that loan. Then you just roll it over." She says it bothered her so much, she quit. "I would come home every day very depressed. Like, just felt like we were stealing from people." In a statement to Marketplace, easyfinancial executive vice-president Jason Mullins said "Ninety-five per cent of our customers rate their experience with easyfinancial as good or excellent. Your story is relying on a few negative anecdotal examples that represent a small number of our customers." Debt counsellors, though, say high interest rates and refinancing options like those offered by easyfinancial can be devastating. 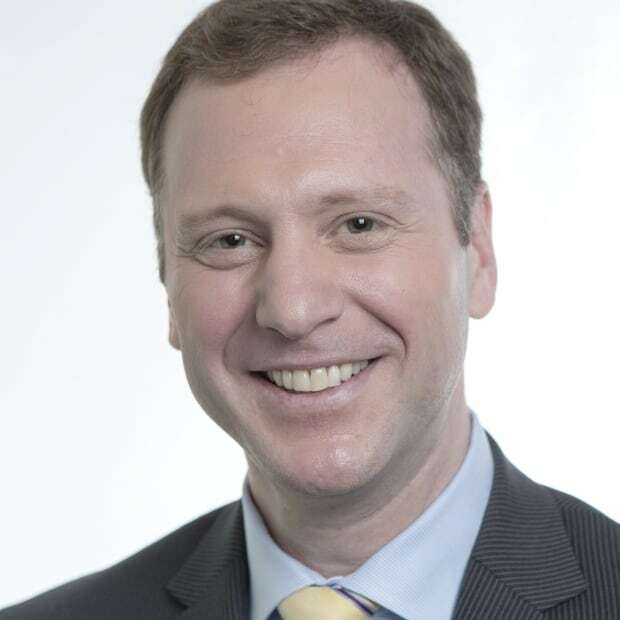 "For many people, they get stuck in this cycle not for just years but decades," says Scott Hannah, president and CEO of Credit Counselling Society. Instalment loans have been around in the U.S. for decades but they are relatively new to Canada. And yet, Equifax, a credit monitoring company, says instalment loans are the second fastest growing type of debt in Canada, behind only auto loans. Instalment loans now account for a total of $132 billion owed, or 8.7 per cent of Canada's total debt distribution. The vast majority of that is held by the big banks. Alternative lenders say their share of the instalment loan business is about $2.5 billion in Canada. Vancouver-based Urloan, one of those lenders, was offering on its website a $15,000 loan payable in 36 monthly instalments of $858.80. "I analyzed that loan and determined that the effective annual interest rate that's contained in that particular arrangement is 71.26 per cent," actuary Jay Jeffrey says. Urloan says that was a mistake. ​"The ​calculator on our website is definitely wrong," says Ali Pourdad, president and CEO of Creditloans Canada Financing Ltd., the parent company of Urloan. "I think you discovered a much higher payment than we actually charge." Pourdad says Urloan's loans have an APR of 46.9 per cent, which he says equates to an effective annual interest rate of 58.5 per cent, just below the legal limit of 60 per cent. "Yeah, they're high," says Pourdad. "Unfortunately, we have to charge these rates. It's nothing to do with 59.9, 59.8, it's the fact that we're taking an immense amount of risk. And also, we have to borrow at higher rates because we're a high-risk lender." Pourdad says his company is helping people who wouldn't qualify for a bank loan, by getting them out of financial trouble through consolidating debt. ​"They're going from not paying bills to paying them off. That's where we come in," says Pourdad. But critics say consolidating debts into one — often higher-interest — loan is not usually the best way to go. "If they fall behind on these loans, the consolidation loans, it's just like falling behind on any other loan, you'll eventually be pursued for the balance and get calls from collection agencies," says John Lawford, of the Public Interest Advocacy Centre. It's better, Lawford says, to go to a credit counselling service, which can often negotiate a lower interest rate. Unable to make the payments on her loan from easyfinancial, she went to Credit Canada Debt Solutions. They got her a new interest rate for her instalment loan: 9.99 per cent. That, she says, is a rate she can afford. 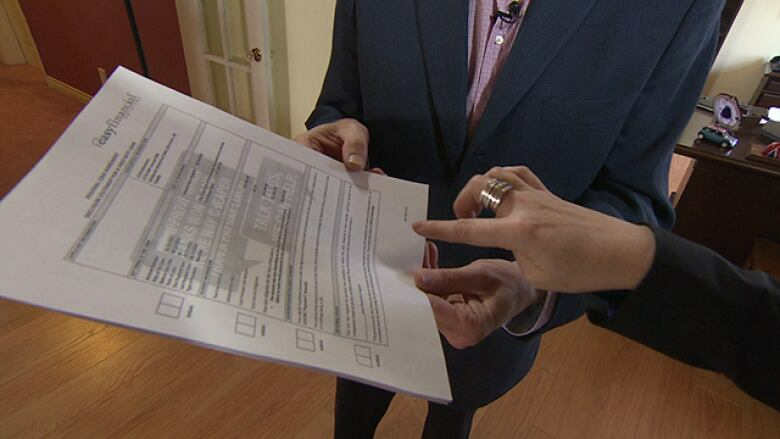 Watch the Marketplace investigation into Uneasy Money Friday at 8 p.m. on CBC Television. As U.S. moves to regulate payday loan industry, why not Canada?